← Welfare reform is ruining the lives of disabled people and we should be furious! Living with an invisible disability is hard; dealing with one that flares up every month or so is pretty damn hard too. My pain rolls around and like half the population, I bleed, I’m cranky and occasionally, very occasionally, I might just shed a tear or two over an adorable video of a puppy. Unlike half the population, I struggle to stand up from my bed, I vomit and occasionally, very occasionally, I might just pass out. I have endometriosis, a condition whereby the release of the hormone that encourages the lining of the womb to shed doesn’t work quite as it should. Meaning that it tears, cramps and rips away from my uterine wall, mmm, delicious. I’ve been known to take to some less than healthy coping mechanisms to deal with the pain, both physically and mentally, bed, inebriation, eating entire tubs of ice cream. Being in that much pain for that amount of time (it can be up to two weeks) can begin to turn even the sanest persons’ mental health upside down. Being far away from family at this time can be incredibly difficult because all I want is my mum and her chicken soup! And yet, on a day-to-day basis, it is invisible and not even regarded as a disability by the government, I am entitled to no benefits and there is no cure, outside of pain killers and a full hysterectomy, which they refuse to do on someone so young. There is no bonus to having endometriosis. Some doctors advise having children, some tell you having children is an impossibility, if they are able to diagnose you at all. 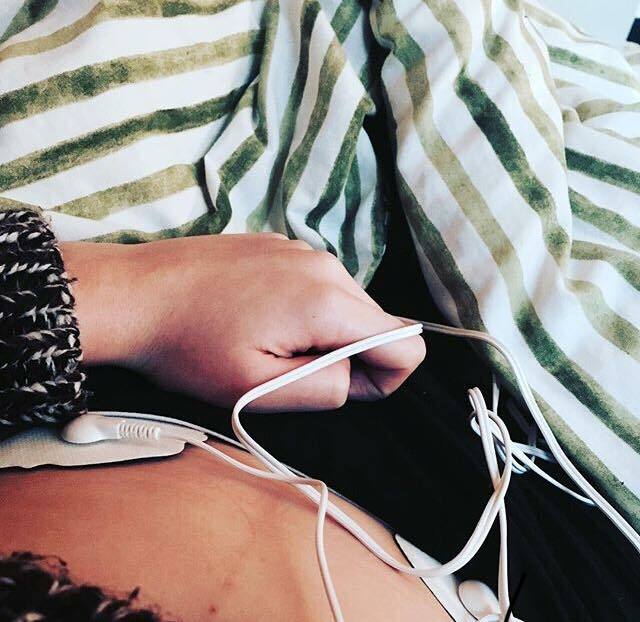 It takes the average woman seven years to be diagnosed with endometriosis; it took my mother ten and the only reason they have diagnosed me is that they have looked at my medical history and symptoms and decided I must just follow a similar plan, I have had ultrasounds and blood tests which have all returned pretty much as normal. But this is not a rant about the NHS, god bless them, this is about awareness, so that when I bleed all over a chair during a lecture, I still feel proud for just getting to class, when I’m struggling to walk. This is about awareness, for the women who feel like there is something not quite right about their period, speak to someone. This is about awareness and fairness and the hope that people might see past a brave smile to be just a little kinder to each other, you never know what kind of battle someone is facing.